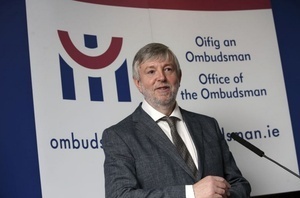 ‘…While his detractors worked themselves into a frenzy over his comments about Travellers, it was his remarks about Ireland becoming a welfare state and his expression of sympathy for “people who pay for everything and get nothing in return” that really struck a chord with voters. That message is similar to one we have been preaching for some time. It is why we backed Mr Varadkar as a future leader of Fine Gael as soon as he presented himself as an alternative to the suffocating consensus that was slowly killing robust political debate. Not any more. Mr Varadkar has become yet another social democrat, and left those on the centre right without a party to represent their interests. Fine Gael strategists would be unwise to dismiss Mr Casey’s vote as an aberration. The businessman’s campaign was shambolic and his public utterances were often bumbling, incomprehensible even, but by actually speaking his mind he managed to breach the stultifying political correctness that sanitises most statements made by our career politicians. 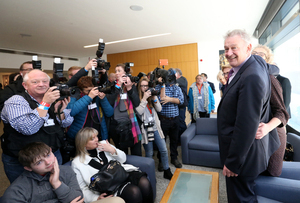 Posted in Misc and tagged Peter Casey, Social Welfare at 3:10 pm on October 30, 2018 by Bodger. A person (a professional journalist, no less) reads an editorial that they disagree with, and cancels their subscription to the newspaper – Generation Snowflake writ large. Yes! In my day we were tough enough to… stay subscribed to the newspapers we didn’t like? Well, the editorial, whether one agrees with it or not, is hardly the most rabble-rousing article thing ever – Ms. Browne’s own newspaper has opinion pieces of a similar tenor on a weekly basis. If everyone who found a single op-ed in the Independent objectionable boycotted it in similar fashion, she would be out of a job in a month. Also, you think as a journalist she would be able to come up with a more nuanced rebuttal than ‘I disagree with the sentiments in one article, therefore I will refuse to buy a publication ever again’. Its not an op-ed though, its the editorial. Many are only interested in viewpoints that reinforce their world view and reject all others. People do not subscribe to newspapers they don’t like. Trying to turn that into a moral flaw is idiocy. ….of course when the story involves a woman,here comes the resident woman hater and famously open minded commentator and bigot. Well, either that, or they turn around two days later and write pretty much the same piece themselves, for their own paper. AMAZING. This is how the cosy cartel operates; everyone who disagrees is a racist or a facist. Kinda funny when most of it originaltes from a political party whose history is steeped in facism. How very Disgusted of Tunbridge Wells. I don’t like Colette Browne one little bit. Said the hoor to the bishop. Her voice is like a flat-lining cardiac monitor and the woke offspring of Stephen Hawkins’ voicebox and a Dalek. But a useful aid for insomniacs when watching the Tonight Show. Better than anything you do on here so, Ollie no mates. Why exactly is Colette Brown cancelling her subscription? My problem with the times is that they softly advocate nice friendly “totalitarianism” behind the veil of social justice. Casey’s remarks resonated with many, his comments about a certain section of society paying through the ****for everything were undeniably right. His comments about the travellers made sense to a lot of people also. It’s no surprise that there is a direct correlation between the number of travellers living in an area and the number of first preference votes Casey received. This is an English Tory paper owned by Murdoch ffs. Of course it is going to use Casey as an excuse to further its own agenda, which is, to sell newspapers. Casey is a truly terrifying road to go down. I’m sure a lot of those who voted for him would have been mortified if he had been elected. This is how Brexit happened. It was pushed over the line by protest voters who never dreamt it would become reality. Casey’s world view needs to be crushed by reasonable people before it gains traction. It’s nearly 30 years ago when Radovan Karadzic told the Bosnian parliament they were “opening the gates of hell”, and fulfilled his prediction. Events in Brazil, US, UK, Hungary, Italy, Poland, Slovakia, and now Germany, should be sounding alarm bells, before its too late. Casey voters, careful what you wish for. Singling out minority’s and the marginalised, is straight from the fascist playbook. Dangerous times indeed. Democratic votes need to be crushed ? The very definition of fascism, petal. Grand. Just worried for my children’s future, instead of adopting childish, simplistic nonsense. I still believe MLK’s arc of human progress applies. Maybe look at why you feel so insecure. Your world view betrays a sense of weakness and inadequacy. Good luck with that. Don’t punch down. It’s not really that difficult, when you’re secure in your own identity. Politically crushed, by the collective body politic. See, it’s not too difficult. Thanks Fritscondo. I wanted someone to speak on my behalf better than I could articulate. Well done and you are 100% right. Now how are we all going to move forward together???? In fairness, No one in any of the places you mentioned promised to open the gates of hell. As to protest votes being mortified if he was elected, well they deserve that. Protest votes in referendums and presidential elections are beyond stupid. They haven’t said it explicitly, but that is exactly where we are headed. In a handcart. Do you really think, those sitting in the Bosnian parliament foresaw Srebernica, Mostar, Vukovar, Sarajevo, Bihac, Bjeljina, etc, etc, etc. Do you think when Princip assassinated Archduke Ferdinand, anyone in Europe envisaged tens of millions dead. Chaos happens, by definition, with little warning. So, careful out there. Tell you what, go back to secondary school world history and read a few chapters about that area and come back to me and tell me what sort of ‘bosnian parliament’ there was in 1989, then we can have a conversation. “reasonable people”? Like those who get up @ 5:00 to drive 50Km to work in Dublin. Like those who think it’s their birthright to rob and tresspass? Go away Friscondo, back to FG Head office with you. Always the same c r a p, if you have this opinion you are unreasonable, racist, capable of Genocide. I get up at 5.15AM to drive to Dublin. I don’t blame those less fortunate than me for that fact. I do resent having to bail out bankers, and the fact my children will inherit that debt. Grow a pair. The price you pay for electing inept politicians happy to let the EU run your life. Membership fees for being in the club and all that. On the plus side 5.25am is a wonderful time of the day – I’m never happier than I am when I’m at the crack of dawn …. STOP GIVING THIS IDIOT AIR. That’s how the Brazilian fascist rose to prominence — the media loved ripping the piss out of him when he was a fringe nobody and then he started gaining traction through the airtime. You missed your quota there so I’ll add a Mr. Charles Flanagan for balance. It’s between Humphrey’s & O’ Connor to take the No 1 spot. This. The media are upping his profile with outrage over his high profile. Can’t wait until they’re telling me what the drunk on the corner is shouting too. In every vox pop I heard his supporters were people who were voting for him because they dislike travelers. VOX pop. That’s how I make all my decisions as well. Casey is a nice protest vote, and travellers are the subject of the day. It’s interesting that in Galway Whest ( Micky D’s constituency) voters voted no1 for the incumbent and no2 for Casey. This voting was mirrored all across the country. An Irish presidential voter 2018. No. You are confusing peoples preferences and the standings in the final count. Johnny K making a reasoned intelligent post? I read Michael D got the biggest landslide victory in the history of the state, yet people disproportionately concerned with how the second candidate did? It’s like the people in the LGBT side who focus on the 37% who voted no. They won, and won well. This is the manifestation of power-mad thinking – they way a narcissistic dictator might respond in victory. They always knew they were going to win, but would have loved to get 100%. They say if you want to get under a conservative’s skin, tell them a lie….if you want to get under a liberal’s skin, tell them the truth. Casey told some truths. He wasn’t a strong candidate in many respects. Let this be a lesson that conversations should be facilitated and had out not shut down, if we are to be a strong society. 23% of ~44% voted Casey. That’s noting to get too concerned about – less than 10% of the electorate. People on welfare are not to blame for Ireland’s problems. The vast majority of welfare is for people who can’t work – old age pension, disability allowance, child benefit. It’s not as if we have large numbers of scroungers just hanging around, draining the coffers. The state budget for 2019 is €76.2 billion of which just €3.19 billion is allocated to income support. I’m sure the poor are just as lazy and selfish as the rich, but that’s not the issue. It’s not why houses are unaffordable, it’s not why outpatient waiting lists are long and it’s not why loads of people spend most mornings and evenings stuck sitting inside their cars. The middle classes are running hard to stand still and scapegoating the poor is an easy target. But it is not the poor who are gouging renters or availing of sharp practise tax breaks. The game has always been to turn ordinary people against each other because it acts as a distraction to what is really going on. I’m in the squeezed middle and I think Peter Casey is a muppet who punches down, Varadkar is a lot of things but is NOT a Social Democrat, I really don’t think I pay for everything, I no longer pay for the Sunday Times.